Thurman, who worked with Weinstein’s studio Miramax on seven films, has now gone public with her harrowing account, telling the New York Times’ Maureen Dowd that the producer sexually attacked her and threatened to derail her career. She also accused director Quentin Tarantino, who frequently worked with Weinstein, of endangering her life. She said the first time she had an unwanted experience with Weinstein occurred after the success of the movie, “Pulp Fiction.” Thurman said Weinstein, then a powerful and influential figure in Hollywood, invited her to his hotel room in Paris and led her into a hot sauna. Thurman’s description of the alleged incident matches up with details other Weinstein accusers have provided, specifically that he would often invite actresses and models up to his hotel room, answer the door in his bathrobe, and then proceed to make unwanted advances toward them. Thurman made headlines when she told a reporter in November that she was was “waiting to feel less angry” to speak out. Speaking to The Times this weekend, Thurman said she also told Hollywood heavyweight Quentin Tarantino about her encounter with Weinstein in London, and that Tarantino initially dismissed the issue before bringing it up with Weinstein in 2001. She added that Weinstein then approached her and attempted to deflect her accusations but ultimately apologised when she held firm. But the actress said her negative relationship with Weinstein also affected her interactions with Tarantino. Thurman, whom Tarantino often called his muse at the time, frequently collaborated with both men to produce movies like the 1994 hit, “Pulp Fiction,” and both volumes of “Kill Bill” in the early 2000s. When she asked to see footage of the crash, Thurman said the studio wouldn’t allow her to see it unless she signed a document releasing them from any liability. 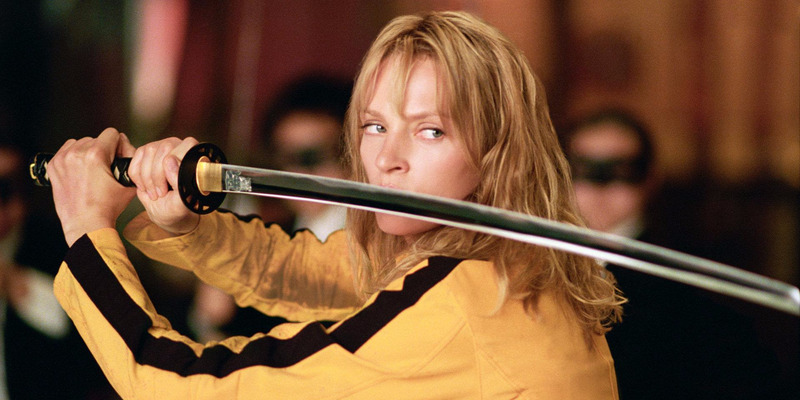 Tarantino gave her the video 15 years later, she said.